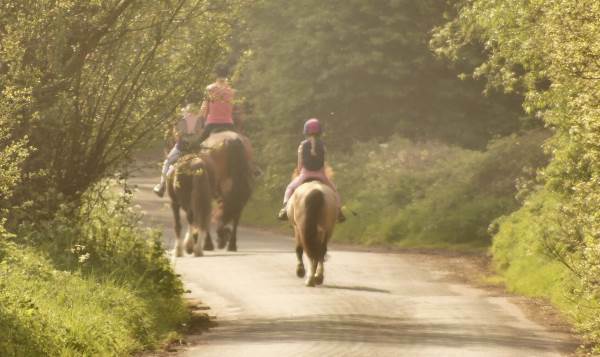 If you see a horse and rider on the road what should you do? If you see a horse and rider on the road what should you do? B. Sound your horn to warn the rider. C. Speed up to pass the horse. D. Slow down and give them plenty of room. Correct. Horses can be frightened easily by traffic and can become unpredictable. Slowing down and giving them plenty of space is essential. Horse riders and drivers of horse-drawn carriages must obey the road rules like any other road user, and it also means they have the same rights as other road users. Horses can be unpredictable, especially if they are not used to traffic. At some point in time every horse has to become accustomed to traffic if it is going to be lead on the road. So, slow down and give them plenty of room - pass wide. Watch the rider for instructions. If the horse looks to become agitated, stop and wait for the rider to signal you what to do. Your engine noise can startle a horse, as can a loud stereo, or a blow-off valve (if your car is a turbo car), or air brakes. Also, it's not just the engine noise as you pass them, it's as you accelerate away, too. 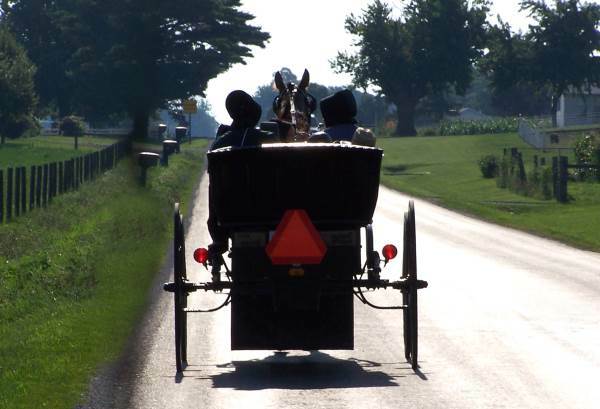 Quiet vehicles can also be frightening to horses because they can't see behind them, especially if they have blinkers on. Therefore when riding, if you have a very quiet car (e.g. a hybrid in electric mode, or a plug-in hybrid) the horse might not realise it's there until the last minute and it could bolt. The following shows a horse-drawn carriage. As it's a similar width to a car, make sure you have enough room to pass wide and slow. In rural areas you might find very narrow roads with horse riders taking up the majority of the road like this. They are entitled to do so, but won't usually maintain an obstruction once they know you are there. Be mindful of the width of any trailer you are towing when you pass a horse. Some trailers sit at the maximum width allowed for a vehicle, whereas the car towing it could be 60cm narrower overall. This means your trailer sticks out 30cm more on either side of your car. Check out our full guide to driving around horses.